"The World" is an MMORPG (Massive Multiplayer Online RPG) set in a fantasy world where humans and beasts live together. Players become world-renown adventurers and travel around killing monsters and discovering the world's secrets. Skin designed by INGINE of dothackInfinity. Codes from proboards support. The site concept is based on the .HACK SERIES and adapted by .HACK//INFINITY's staff. Characters, topics, graphics, and the likes are copyright of their respective posters. Base image(s), brushes, textures & other graphic goods credited to their original creators. Do not steal or manipulate any elements found on this forum. A surprisingly competent player for an internet troll and a decent teammate if you mute him. Going against his lazy nature, this snarky Twinblade has been spotted across The World and has left lasting impressions. In this re-imagination of R:1's elusive Aerial Fleet, Sol and Yurlin have come into contact with the peculiar PC, Eden. Together the trio have braved many trials in order to raise an ancient airplane armada. Is your character trodding the ground while others are soaring the sky? Grab an Eir's feather and give your aesthetic Wings the power of flight! While it may be a costly purchase, it adds fun and freedom to any encounter! Serene, yet somewhat forebording background music can be heard throughout this dungeon. Players find themselves gating in via a Chaos Gate in the middle of a bowl-like structure. 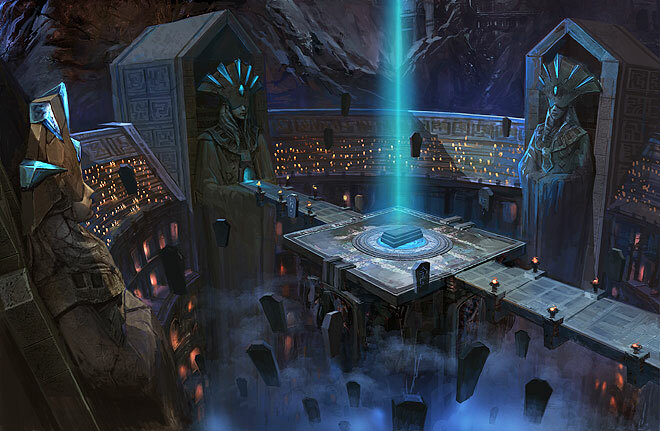 The bridge on which they stand upon is surrounded by what look like floating tombstones. Looking over the side of the bridge, the bottom cannnot be seen through the thick fog that raises from above; it seems to hold the stones in place. Four giant statues surround the bowl, though their eyes are hidden. Looking outside of where the player stands, it seems as though there is a large storm on the outside. The rain and winds, however, do not touch you. The thunder does not strike to your ears. Everything in the outside world seems silenced by this place. Behind the player, the bridge seems to have crumbled and leads to nowhere. Before the player and further along the bridge, however, a glowing blue door is open. A beast statue lies within the depths of this dungeon. Not long after Hachi had appeared in the dungeon another chime would ring out through the hall, indicating another player was arriving. The rings appeared in similar fashion and a female's form was shaped. Once the rings dissipated Lila would take in her surroundings as Hachi had done. She quickly noted the PC with the orange jacket sitting at the edge of the bridge. It would be hard not to notice a vibrant color such as that against the color scheme of the area. Lila raised her and in a wave and moved toward him but continued to look around. She made note of the storm above, the statues, and the tombstones. The tombstones made her chuckle but weren't what she liked the most about the area. Her favorite part was the color scheme. The light blue glow was enchanting. Upon making it a few steps from Hachi she would bring her hand up once again to wave and greet him, "Hey! Long time no see. How have you been?" During her dialogue she would bring up a window and send Hachi a party invite. You have joined Lila's party! Lila clapped and grinned at Hachi's news, "Congratulations! Are you excited for university? It is a lot of fun." Lila continued forward, keeping her eyes on the surrounding area so as not to get ambushed by a pack of monsters. "I have actually been busy with university lately. I will be starting my final year soon. Then off to get a job!" She chuckled as they entered the gemstone cavern. She let her voice trail off and she whispered, "Pretty..." The light bouncing of the different surfaces was mesmerizing and she almost lost herself to it. The image of the tombstones popped into her head and reminded her that they were in this dungeon for a reason and that it certainly wasn't safe. "Did the guy you were talking to mention what kind of creatures resided in this dungeon?" Lila asked Hachi, trying to prepare a strategy for when they encountered such a group. "F-final year..!?" An embarrassed blush crept across Hachi's cheeks and he quickly glanced to the side at the sparkling water below to hide it. "W-wow. That's awesome, Lila!" This whole time he thought he was the oldest of the two of them. 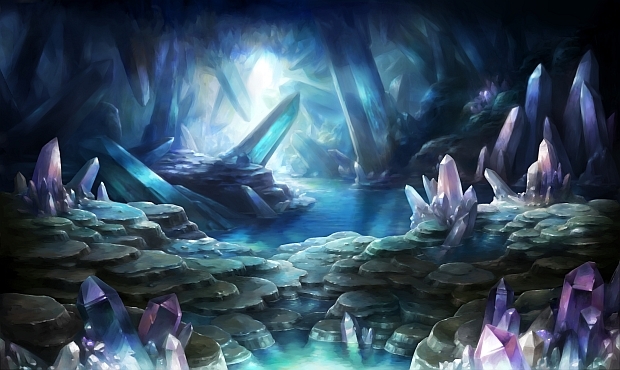 Maybe it wasn't a big deal.. As they walked through the crystal cavern, Hachi nodded in agreement to her statement about its looks. "Yeah, it's really somethin'. I've never been in a place like this before." Careful not to step into the water on the thin path, Hachi glanced over at Lila as she asked more about the dungeon. "Hmm..? Oh! Hah, it's funny actually. He was really embarrassed about it!" Hachi laughed, waving a paw. "He came by himself and said he was just walking around looking at pretty rocks when these enemies appeared out of th-" Realizing halfway through where exactly his story was going, Hachi stopped and slowly turned around to face Lila. His pupil thinned to a sliver as his mouth dropped open, "..O-out of the ground." Lila smirked and fell a few steps back. Summoning her rifle she placed the barrel on a nearby rock formation to steady it. She would allow Hachi to take the front while she supported him from the back. Lila made sure not to go too far back because if another creature spawned she didn't want Hachi to be too far away. "I'm trusting you to protect me. I will do what I can to do the same from back here." After getting positioned properly Lila aimed at the golem on the left. It was a large target so she didn't waste too much time trying to line up the shot. She inhaled through her nose and slowly released the breath through her mouth. At the end of her exhale she pulled the trigger and a bullet roared from her weapon and slammed into the golem. She hoped it was effective but did not spend time looking at its health as she readied her next shot. Lila smiled as she watched Hachi dance about. During this time she was able to easily line up her next shot. 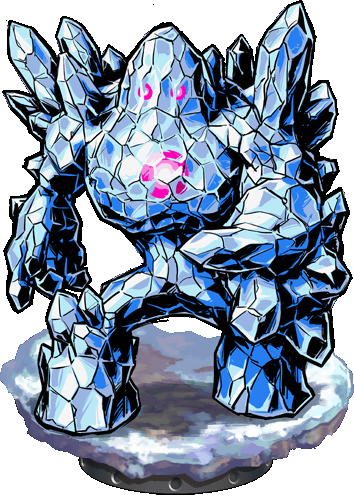 Before she had a chance to fire her next attack the golems unleashed their torrent of frost toward Hachi, slowing him and putting him in danger. Lila adjusted her focus and fired her shot at the center of the right golem, ideally causing slightly more damage than Hachi. Without reloading her weapon she dashed forward and put herself between Hachi and the golems. If she had infliscted enough damage to the right golem then both of their gazes should be fixed upon her. As their lumbering bodies moved to swing their large arms at Lila she would dive forward so that she was now behind the two. This would cause the one on the left to turn around, and if she was successful in gaining the right's attention it would turn as well. "Hachi I should have their attention. Finish them off from behind quickly. Focus on the right one so that we only have one to deal with," Lila would tell him as she back pedaled in hopes of not being struck. Lila jumped back as the creature swung at her and narrowly avoided the strike. She hadn't reloaded her weapon yet so a regular attack would be out of the question. She gave a quick glance at the hit points of each of the opposing creatures. Raising her weapon she unleashed one of her skills, "Tempest Blast." The attack would feed off of her SP and thus did not require her to physically reload her weapon. Normally this skill shot 4 times however due to her weapon's slow attack speed it only shot twice. One bullet traveled to each target, finishing off the lower of the two and if it didn't finish off the other it would make it easy for Hachi to finish off. Lila reloaded her weapon and stowed it on her back once again. She turned to look at Hachi and smiled, "Don't worry about it. I am here to support you and you for me." She flicked him playfully on the forehead before motioning to the stairwell, "I am ready to continue. I will take the lead while you walk off your frostbite." Lila chuckled and moved carefully over to the stairwell, peering down it. She didn't want anything to catch her off guard by jumping out of the walls. If it seemed safe she would move ahead with Hachi in tow. "Yeah I imagine your friend would have had a hard time coming alone. He should have come with us to redeem himself," Lila said to Hachi. She was always under the impression the more the merrier. Lila listened intently to Hachi's ramblings and allowed him to finish before jumping in again, "I agree with you. I understand that some people enjoy the game in different ways and to each their own. I personally enjoy the exhilaration from questing and coming up against more challenging threats." Lila let her gaze drift through the windows and to the storm outside. She wondered if the storm would be audible if the windows were broken. Lila ran her hand against the glass as her mind absently drifted through the storm. Her attention was snapped back by the sound of scraping in the room ahead. Immediately Lila pulled her weapon up in front of her. She wanted to assume a sniping position but if the cause of the scraping wasn't within the doorway it wouldn't prove to be much help. Instead she moved closer to the door but had slowed her pace to fall into step behind Hachi. "I will cover you. If possible try and lure whatever it is back into this room. Be careful of the fog as it may have a malignant nature." She lifted her rifle and readied herself for their next challenge.